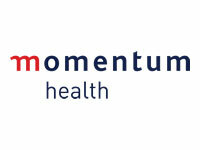 Momentum Health medical scheme is one of South Africa’s biggest open medical aid schemes. Momentum accredits their fast growth to their service excellence, budgeting expertise and the flexibility of their medical aid plans. The Flexibility of the Momentum healthcare options allows members to shape their healthcare cover according to what suites their needs and budget best. Momentum Health understands that health is the most important asset in each person’s life as such they strive to improve the overall health of all their members by providing comprehensive healthcare that is not only affordable it is easily accessible. Momentum sets itself apart from the rest; unlike other open medical aid schemes Momentum Health reward their members with free GP visits and by allowing them to earn back a potential R5 400 in health returns. Momentum wants their member’s health to become their wealth. Momentum health is committed to building reliable partnerships with service providers which will enable them to provide members with better healthcare benefits that are not only affordable but also flexible enough to cater to even the most complex needs. It is Momentum Health’s vision to provide healthcare services that are beyond compare in order to secure their place as one the best open medical aid scheme in South Africans. Momentum is driven by their values, it defines their decision making, customer care and overall business practises. Diversity – by welcoming and promoting diversity Momentum is better equipped to cater to the healthcare needs of all South Africans. Accountability – they accepts full accountability for service agreements as well as the action taken by employees. Innovation – they are constantly working on ways to provide better services to their members and stakeholders. Teamwork – they rely on teamwork from both its employees and members in order to achieve results that are mutually beneficial. Integrity – they maintains their integrity through honesty, hard work, keeping promises and overall respect for all their members. Excellence – they make every effort to maintain service excellence in all their endeavours. In addition to affordable healthcare Momentum health offers members a massive saving of up to 35% on member contributions as well as an annual health assessment free of charge. Over and above the in-hospital benefits Momentum also provides preventative care and specialist cover. The HealthSaver plan enables members to plan ahead for unforeseen medical expenses that are not covered by their healthcare option. As a little incentive Momentum member enjoy benefits and discounts from the rewards program. In order to provide their members with the best healthcare possible Momentum has made agreements with some of the best healthcare service providers in the country ranging from doctors to hospitals, clinics even pharmacies.